The California Tire Dealers Association (CTDA) has partnered with Tiremetrix L.L.C. 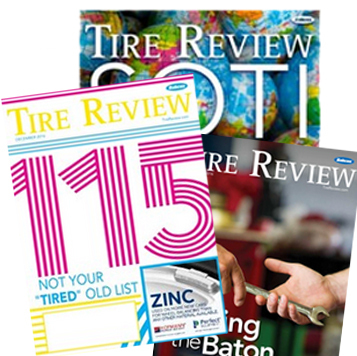 to offer CTDA members both tire registration plus and TPMS manager through their member website. Tire registration is a crucial step in ensuring the safety of the consumer. Tiremetrix has created a very efficient and easy to use resource to help tire dealers register tires electronically with the manufacturer. The software also provides tire age and recall features, as well as a robust reporting feature for all registration records. In the event of a recall, dealers can identify exactly which customers are affected in a matter of seconds, eliminating the inconvenience of over-recalling non-affected customers. “We are confident that we’ve created the very best solution for tire dealers to electronically register tires accurately and efficiently, helping to protect their customers and their business at the same time,” said Joe Donehue, president of Tiremetrix. The platform provides users with an all-brand tire registration form that eliminates the need to visit dozens of tire manufacturer websites, according to Tiremetrix. Along with Tire registration plus, Tiremetrix’s TPMS manager can quickly identify and service every original equipment and aftermarket tire pressure monitoring system in the market. Both products are now offered to California Tire Dealers Association Members at a discounted rate and can be easily accessed through the CTDA website at www.catiredealers.com.